This is a model kit of the Toyota Tom's 84C. In 1982, the World Endurance Championship introduced the new Group C class, which was initially dominated by the Porsche 956. 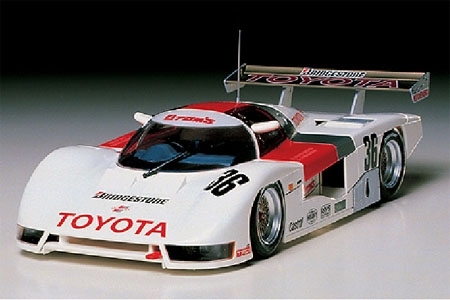 In 1984, Toyota entered the Tom's 84C to challenge Porsche for top honors in this category. It incorporated an aluminum twin-tube monocoque frame, 2,090cc inline 4-cylinder turbocharged engine, and ground effect chassis undersurface. The Tamiya model kit faithfully reproduces all these details in 1/24 scale.